The SIUE Center for STEM Research, Education and Outreach is a collaborative enterprise among several SIUE academic units (the College of Arts and Sciences, the Schools of Education and Engineering, and others), local community colleges and school districts, regional offices of education, and the community at large. The Center’s mission is to develop, strengthen and promote STEM research, education and outreach in the region. 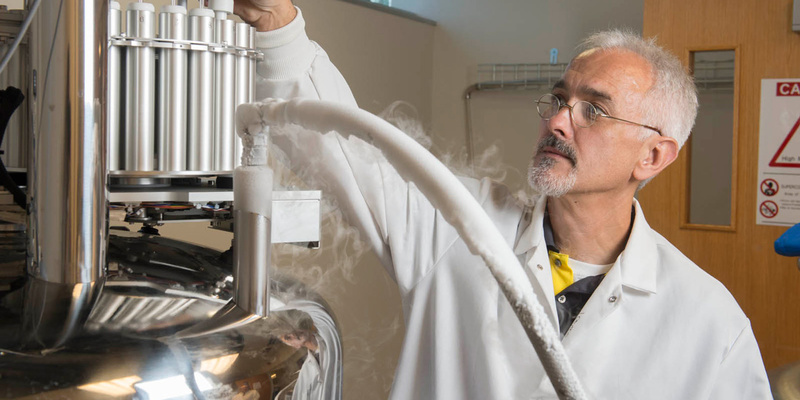 The NCERC at SIUE is a nationally recognized research center dedicated to the development and commercialization of biofuels, specialty chemicals and other renewable compounds. Established through federal and state initiatives, with support from the Illinois and National Corn Growers Associations, the Center promotes rural development and economic stimulus and is providing tomorrow’s workforce with the skills needed to meet the challenges of a changing energy environment. Designated as a Biorefining Center of Excellence, the Center assists in developing the technologies needed to reduce U.S. reliance on foreign oil and provide consumers with economically sound and environmentally responsible fuel options. Research initiatives in renewable energy at the Center are supported through grants, contracts and donor contributions.